The U.N. Relief and Works Agency (UNRWA) faces a severe financial crisis which could see core services to desperate Palestinian refugees in Syria, Lebanon, Gaza and the West Bank halted unless donors step in before the end of September. “People get used to war. During the last battle, children were still coming to play. Can you imagine, a seven-year-old boy running through the bullets just to play video games,” says Mohammad Darwish, a calm man with a curled beard framing his face. As the international media is mesmerised by the Islamic State’s advance on Kobani or ‘Ayn al-Arab on the Syrian-Turkish border, Arab states and the United States would need to look beyond Kobani’s fate and the Islamic State’s territorial successes and defeats. In a country where civil liberties remain the prerogative of the powerful and wealthy, the Lebanese gay scene is to be treaded carefully. The Shatila Palestinian camp has no library, nor does adjacent Sabra or Ain El-Hilweh in the south. And, after recent statements by Lebanon’s foreign minister, some fear that the thousands of Syrian refugee children within them will soon have even slimmer chances of learning to read and write. In front of Osman Bin Affan Mosque, in a central but narrow street of Beirut, several tank trucks are being filled with large amounts of water. The mosque has its own well, which allows it to pump water directly from the aquifers that cross the Lebanese underground. Once filled, the trucks will start going through the city to supply hundreds of homes and shops. 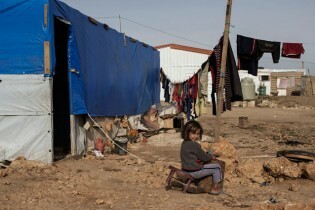 A declining economy and a severe drought have raised concerns in Lebanon over food security as the country faces one of its worst refugee crises, resulting from the nearby Syria war, and it is these refugees and impoverished Lebanese border populations that are most vulnerable to this new threat. Hezbollah clashes with Syrian rebels on the outskirts of Ersal seem to be widening the divide between residents of the Eastern Bekaa town – increasingly dominated by Syrian rebels, including the radical Nusra Front – and other regions as well as the Lebanese state.